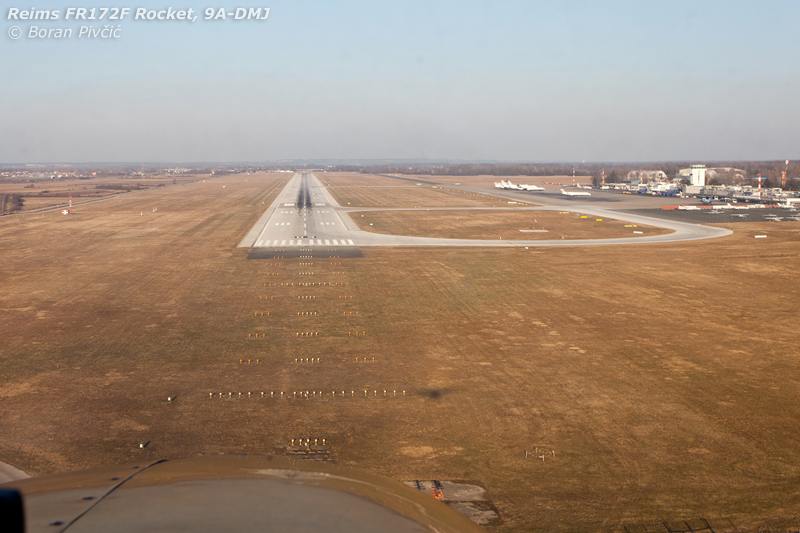 Short Photo Report – Some Mid-Winter Flying | Achtung, Skyhawk! Even though, by most accounts, early February should have seen continental Croatia declared missing under a thick blanket of snow, this year’s odd weather patterns – already having thrown most long term forecasts into the rubbish bin – have decided to treat us to some unusually fine and warm weather instead :). After a month of dull, low overcast and sub-zero temperatures, this week’s clear sunny skies, just a whiff of cirrus clouds and temperatures hovering at around 15 Centigrade were a godsend – and having been deprived of flying for almost two months, I was eager to use this calm spell well and finally log my first few hours as a certified CPL pilot :). 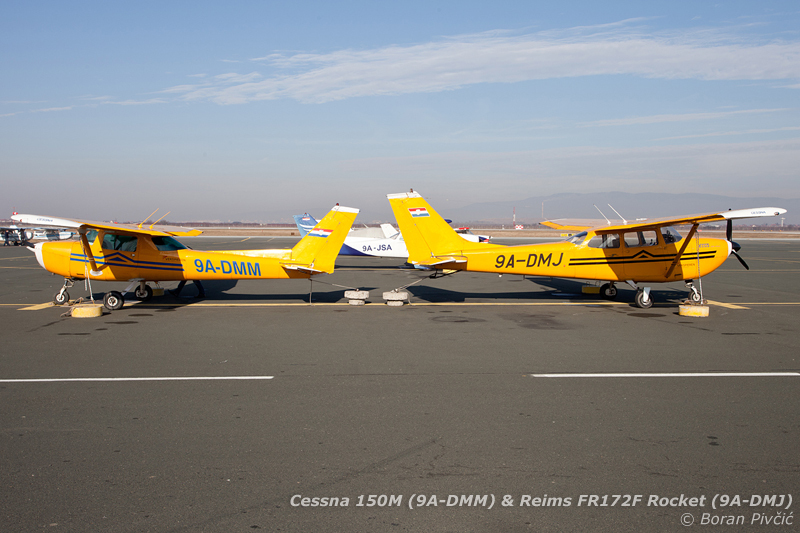 Now all we need to do is tie their tails together with some rope, put two canisters of avgas in front of each one and watch what happens next :D. With most of our Lučko fleet relocated to LDZA, the general aviation apron was becoming awfully cramped. So to make the best use of the limited space available, our parking solutions took a turn for the creative :D.
Milliseconds from touchdown right on the piano keys! 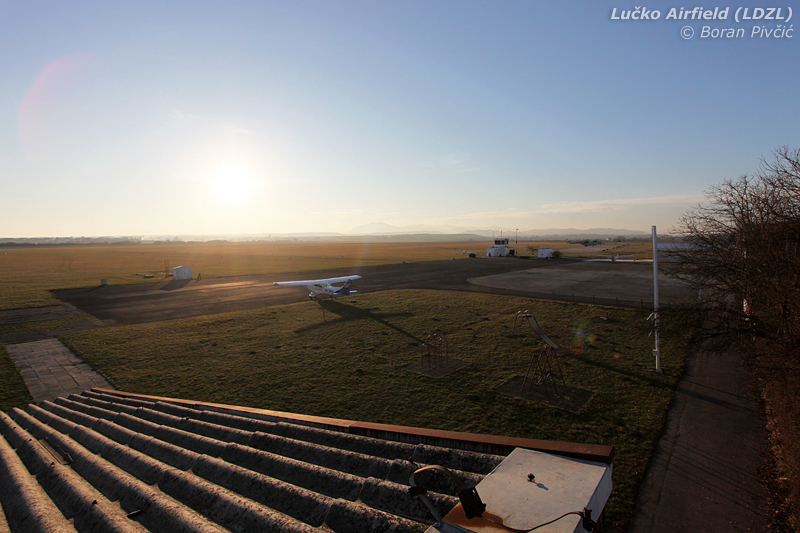 Even though we have 3000+ meters of runway available, when landing on 05 we usually practice putting the aircraft down as soon as practically possible so we can hit the brakes and vacate the runway via taxiway Bravo, located 350 meters from the threshold. 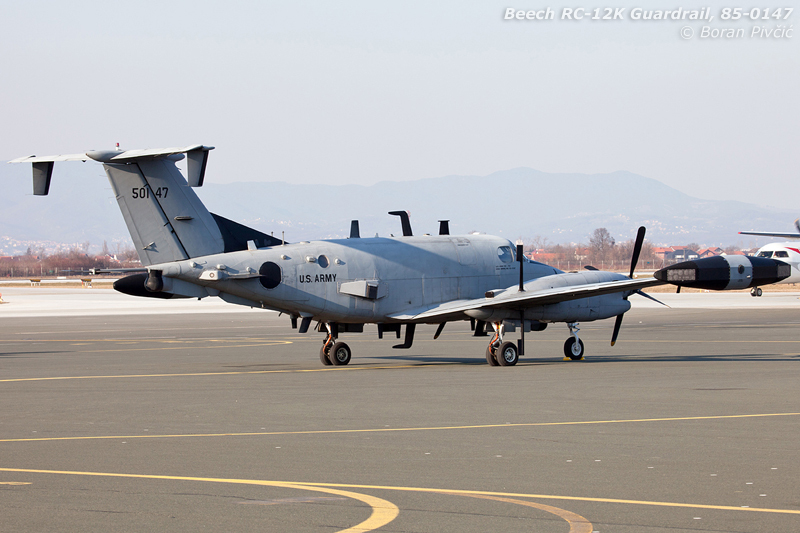 This not only moves us out of the way of much faster commercial traffic, but also allows us to taxi directly onto the general aviation apron without having to go past the entire main apron - again freeing up space for the big birds :). 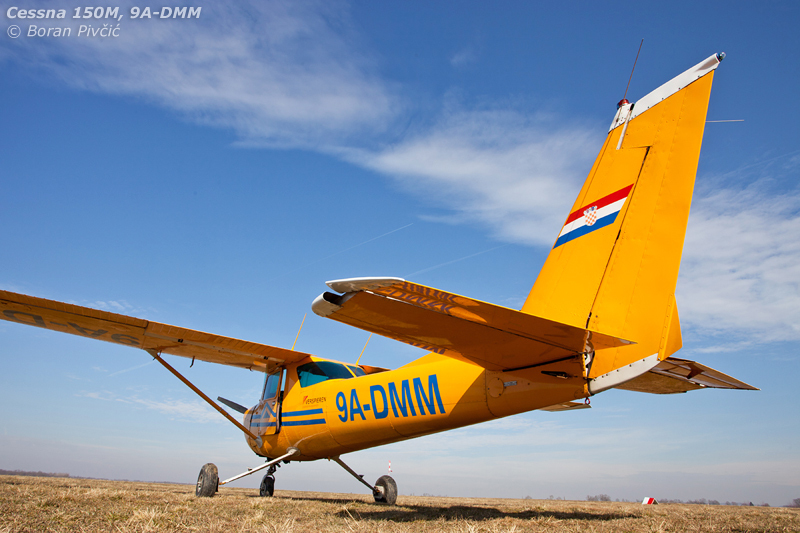 Looking beautiful at the small grass strip of Zvekovac (LDZE), some 15 minutes of flying time away from Zagreb. 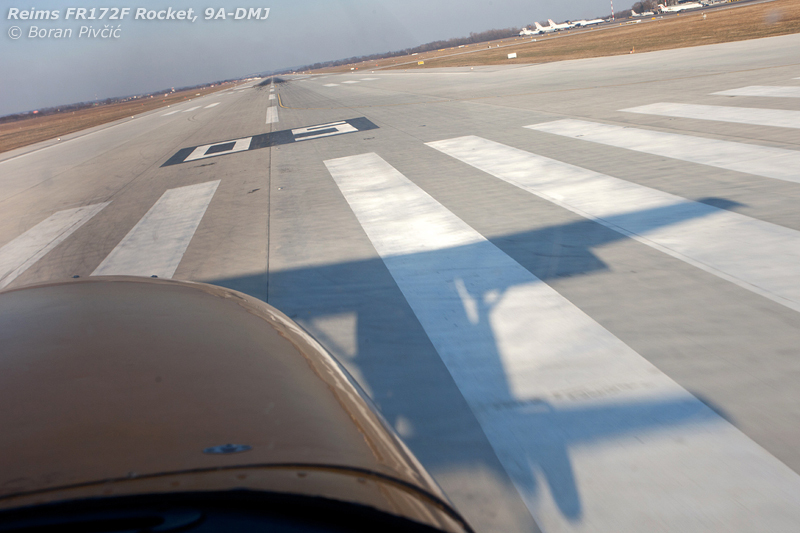 Calm and quiet, it was a perfect destination for a short flying getaway to catch some air outside the CTR :). The flock of sheep standing several meters behind me though were not amused by our rather noisy arrival :D.